We are located in Palermo, a trendy neighborhood filled with restaurants, shops and clubs called 'boliches'. Our rooms have queen or king size beds, LCD TVs, AC (cold/heat), safety box. 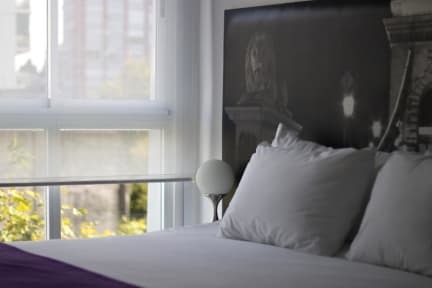 Our rates include breakfast and WiFi in all the building!. 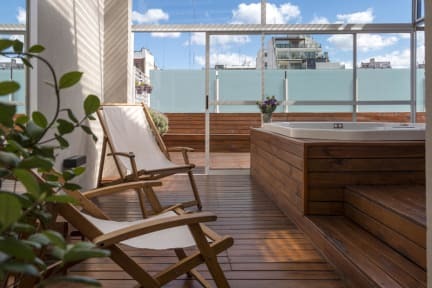 Infinito Hotel has a terrace where you can relax after a long day of work but the most important thing is that we have a sauna and jacuzzi that are also include in our rates.